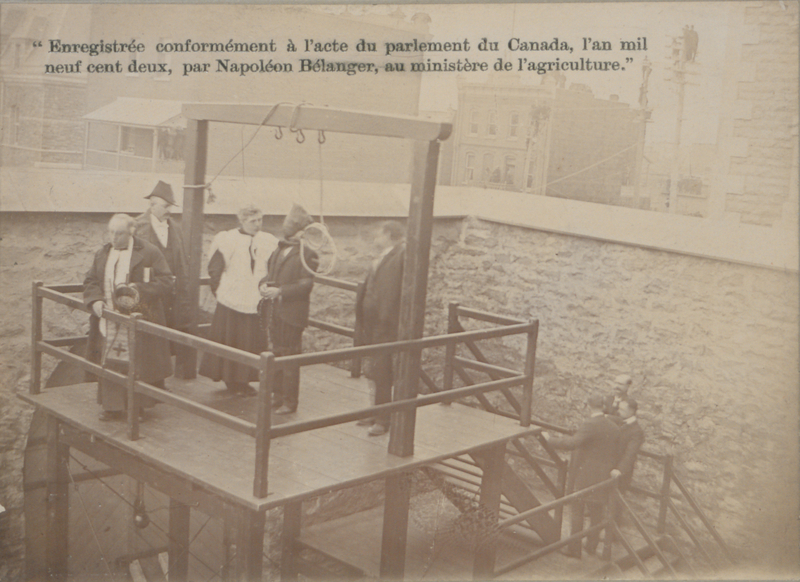 Figure 4.1 The role of the Canadian state included the punishment of crimes and deviance. The ability to assign the death penalty was reserved to the federal government until it was abolished in 1976. 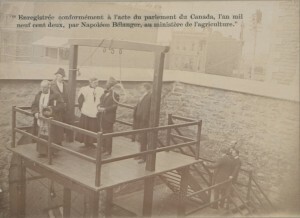 In this 1901 photograph from inside the jail at Hull, Stanislaus Lacroix (hooded) prepares to be hanged while observers watch from neighbouring rooftops. Which raises the question: What is the role of the federal regime? Constitutionally, its powers are limited but it does, from time to time, play a considerable and active role in many facets of Canadian life. Political history is about much more than constitutional history, but the constitution and the division of powers found therein are the ground rules for the Dominion’s governmental processes. As well, the British North America Act functioned in the first three decades of Confederation as a kind of strategic plan. It is highly unusual for a constitution to include provision for a railway; in the BNA Act it stands out like a contractual obligation, and this was a facet that was reinforced in BC’s Terms of Union in 1871. Likewise the BNA Act, and the debates that brought it together, made it clear that Canada was to be a mutual defence pact between a small group of colonies that were highly anxious about American appetites. Measuring the performance of 19th century governments in particular thus means that we have to look at the tasks they were given and how they interpreted their responsibilities. Describe dualism and account for its fluctuating support. Explain the political successes of the Conservative Party from 1867 to the 1890s. Interpret the role played by the Catholic Church, and religion generally, in Canadian politics. Account for the rise to power of Wilfrid Laurier and the Liberal Party. Describe the crises faced by Laurier and how they illuminate Canadian political culture and society. Outline the principles of Canadian imperialism and nationalism, ca. 1900. L’execution de Lacroix (HS85-10-13176) by the British Library is under the public domain. 4.1 Introduction by John Douglas Belshaw is licensed under a Creative Commons Attribution 4.0 International License, except where otherwise noted.